Image Flooring stock hundreds of solid wood flooring products available from our branches, below is a sample of some of our popular products. 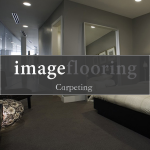 Solid wood flooring is an extremely attractive, good quality; classic flooring that can transform a room. With the right maintenance this type of wood floor will give many years of pleasure. It is an impressive, beautiful covering with great durability, warmth and sturdiness. The flooring consists of solid wood, taken from the tree and shaped into tongue and groove planks, which are then laid to create your floor. The biggest benefit of solid wood flooring is that it is the real thing, with characteristics that an artificial floor simply cannot match. It is timeless with distinctive patterns that only occur in nature. 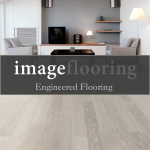 Whether you choose beech, ash, cherry, walnut flooring or an oak flooring you are guaranteed to have a wooden floor that is as individual as you are. The rings and knots present throughout the floor give it an organic feel with no two pieces the same.